Applying for a music teacher job? Wondering how you should prepare? Nervous about the possible technology-related questions? 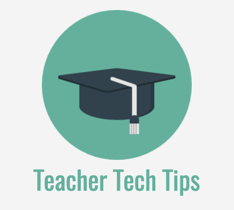 When applying for a music teacher job it’s likely that there will be a question or two related to technology. Some job positions may include a passing reference to technology, but for others it may be a larger focus of the role. Do you need to be tech-savvy, completely up-to-date and living/breathing technology on a daily basis to apply for a music teaching job that incorporates technology? No – I don’t think so – not at all. Here are some common music teacher interview questions and a few other things that you should think about before heading into an interview. 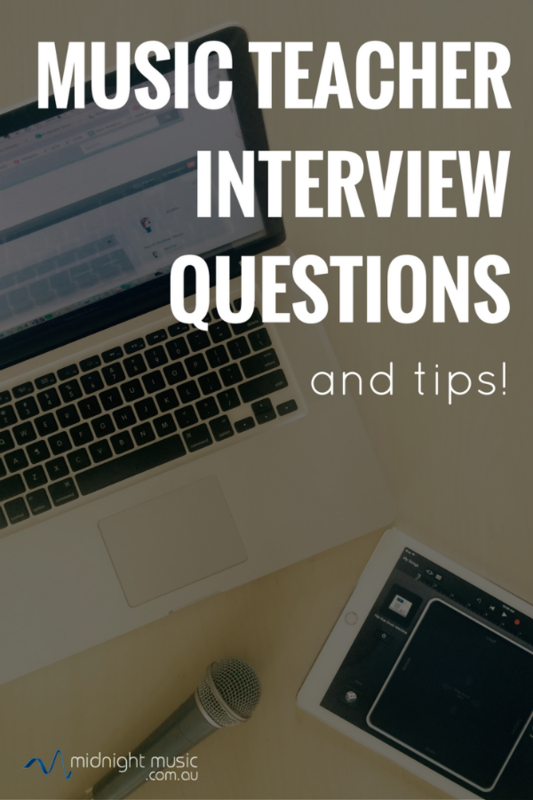 This question serves two purposes – firstly, it gives the interview panel a chance to learn more about you, your family and interests and to connect with you on a personal level. Secondly, it gives you a chance to feel more at ease by talking about a topic you are familiar with – YOU! You could tell the panel where you grew up, your musical interests and passions, your jobs prior to this position and why you like working in education. You can also mention your family and other hobbies. Rather than focus on specific “on-paper” qualifications, I think it’s helpful to talk about your teaching experience. If you have taught before, talk about the ways you’ve impacted student learning and fostered a lifelong love of music in students. If you haven’t taught in a classroom before, talk about any experiences you’ve had as the leader of a music group or any tutoring positions you may have held. If this will be your first teaching position, you could talk about your practicum experience. 3. Describe a successful lesson you ran. Why was it successful? Come to the interview prepared to talk about a specific lesson, unit of work or rehearsal technique that has gone well in the past. If you haven’t had a teaching job before, you could describe a lesson or rehearsal you ran during your teaching placement. Describe what your aims were for the lesson, how the lesson worked with the students and what the outcomes were. Show an example lesson plan and sample student work from your portfolio if you can (more information about portfolios below). 4. Tell us about your professional development – which conferences or events have you been to recently? Have you done any online study? 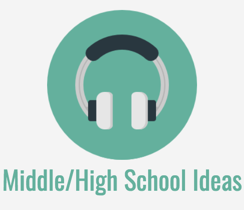 How do you keep up with current educational trends? This is a great chance to show that you are taking proactive steps to continually develop your skills, discover new repertoire, learn new techniques and stay up to date with technology. If you haven’t had the budget to attend many conferences and events in person you might like to consider some online learning. 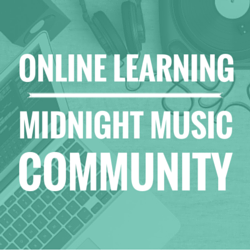 It’s also extremely useful to connect with other teachers via social media – on Twitter (follow #musedchat), Facebook (the big Music Teachers group is a good place to start and I share articles and tips on my own Facebook page) and on Instagram. 5. 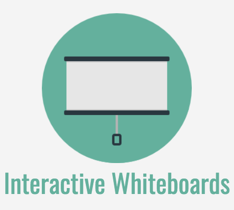 How would you integrate technology into your instruction? Here’s how I would answer this – the focus first and foremost is on the educational outcomes of the lesson. When technology can help me with those outcomes, I would incorporate it into the lesson. How this will practically work at the school you’re applying for might depend on the technology available at that school. 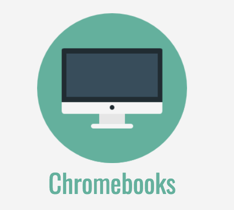 For instance, if you have access to devices for each student you can take a different approach to the use of technology, compared to only having a single computer or tablet. You could also point out that that even if you have a single device there are some great things you can do. 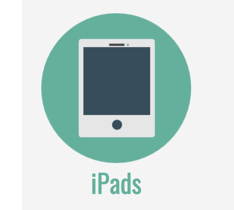 If you’re stuck for ideas for single devices, take a look at my 15 Ways To Use Just One Computer In The Music Classroom article and my 18 Ways To Use A Single iPad In The Music Classroom article. You could mention that you have an interest in learning more about music technology by attending conferences and events and taking online music technology professional development courses. 6. Which software programs and websites are you familiar with? This can be an opportunity to list all the software you know, even if you don’t consider yourself an expert. Examples are notation software (like Sibelius, Final, Noteflight and all the others), music recording and editing software (GarageBand, Logic, Mixcraft, Abelton Live, Acid, Audacity), apps for iPad or Android that you use on a regular basis and interactive music websites that encourage creativity. 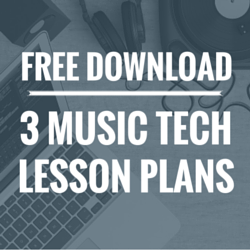 It’s good to mention non-music specific technology resources that you are familiar with such as: the Microsoft Office Suite, Google Apps for Education, database software, productivity tools, Dropbox, See Saw, websites (WordPress, Wix, Weebly, wikis), GarageBand app for iPad, forScore and others. Don’t worry if you don’t know many software applications. Skills are easily transferable from one to another. 7. Tell us a few selections you would program for an upcoming choral/orchestral/band concert. Prepare a list that is appropriate for the position you are applying for and take it into the interview. Believe me, it’s quite possible you will go blank when asked something like this even if you are an expert in your area! 8. How do you deal with discipline problems? A few things you can say here: I would be clear about the behaviour procedures that I would put into place on the first day. I would have some clear rules for the music room and follow through when rules are breached. I would also focus on positive reinforcement and depending on the age of the students, use some type of reward system. Technology can help here – apps like Class Dojo are great for tracking and rewarding student behaviour. 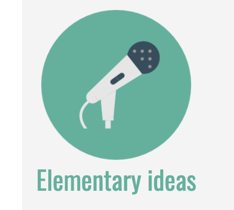 Show that you have systems in place to handle a variety of classroom issues. 9. What are your weaknesses? This question is a classic interview question and I think it comes up in interviews in EVERY field, no matter what the job or level of responsibility. I think it’s best to think of one or two REAL weaknesses you have, but make sure you choose something that is able to be overcome and what the steps are that you would take to overcome it. The bottom line – answer honestly and be genuine! Researching the school that you applying to ahead of the interview is an easy way to stand out, show that you are smart and knowledgeable and help you prepare for potential questions. What is the overall school philosophy? The principal – how long has she/he been at the school? What is their area of specialty or interest? What is the size of the school? What are the demographics of the students? How do they rank? How do this school’s overall results compare to others? What are the strengths and weaknesses of the school in different subject areas? What is their music program like? Do they regularly perform outside of school? What are their facilities like? How is the schedule structured? What are the strategic goals of the school in the next 1-5 years? What is the music budget? 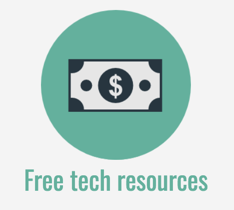 What type of technology resources will the students and I have access to? What is their approach to the use of technology? Which software/apps does the school currently use? 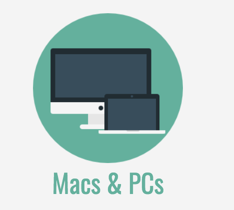 What sort of IT support is available for technology use at school? Can I use or recommend paid apps/software for students or do I need to look for free solutions? What will my extra-curricular duties be? How many ensembles are there? What size are they? What type of space will I be teaching in? Do I have my own room, or is it shared with other subject teachers? This is another MUST-DO. A portfolio will give you the opportunity to show examples of past student work, recordings of performances, videos of you conducting, printed concert programs and more. I would prepare a digital portfolio, but still take along a few hard copies of items to the interview. You could have this all online in a portfolio-style website and simply provide a link to the interview panel. Or you could store all the items in a well-organised folder on your laptop which you bring to the interview. Place a second copy on a flash drive for back-up. As mentioned earlier, it would be wise to have hard copies of some of the items in case it’s not possible to show the electronic version in the interview.